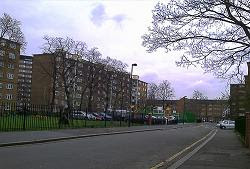 Your Stockwell Labour councillors and members will be out on the Studley Estate this week to distribute a crime survey. This is to ask local residents if they are aware of any criminal activity, or have been the victim of crime recently. You can also suggest things that would make you feel safer in your community. If you're not in when we visit, or if you live somewhere else in Stockwell, you can still take part. Just download the survey from here - Stockwell Crime Survey, and send it back via freepost, so no stamp needed.